A recent article deals knowledgable and informatively with the Traditionalism of the British author John Michell (1933-2009). This is Amy Hale, "John Michell, Radical Traditionalism, and the Emerging Politics of the Pagan New Right," The Pomegranate: The International Journal of Pagan Studies 13, no. 1 (2011), pp. 77–97. Michell is best known for his 1960s Neopaganism, and for his glamorous connections, as his Daily Telegraph obituary illustrates. But he published Confessions of a Radical Traditionalist in 2005, and Hale argues convincingly both for his Traditionalism and that "the ascendance of Radical Traditionalism and the concerted efforts to promote it within very specific Pagan and political contexts since 2000 that are now bringing the writings of John Michell to a whole new audience." Among these contexts is Ultra and Tyr, the heavy-weight American Traditionalist journal that has been mentioned occasionally in this blog, last in connection with its most recent issue. A small American group has just founded a "Traditionalist Worker Party" with a website at tradworker.org. The group is primarily White Pride, with an anti-establishment, anti-Semitic, anti-Islamic, and sometimes neo-Nazi message (it uses such slogans as "tomorrow belongs to us" and "Hail victory"). It seems to have adopted something of Traditionalism from the European identitarian movement, and perhaps from Golden Dawn, which its leader Matthew Heimbach admires and claims connections with. The four main points listed on its website are "ethnic consciousness," "Traditionalism," "localism," and "ethnopluralism." Ethnic consciousness and localism are self-explanatory. Ethnopluralism is “multiculturalism in the sense of multiple cultures or ethnicities existing in a country, but separated in their own enclaves, to safeguard those differences.” “Tradition,” the site explains, “is more than the healthy habits of one's forefathers. It's an entirely different approach to life, one centered on the transcendent, perennial, and organic.” But the detailed discussion that follows has little of the transcendent or the perennial to it. A new article by Francesco Piraino, "L’héritage de René Guénon dans le soufisme du XXIe siècle en France et en Italie" (Religiologiques 33, 2016, pp. 155-80), looks at the heritage of René Guénon in 21st century Sufism in France and Italy, as the title suggests. Piraino is a sociologist, and his conclusions are based on ethnographic fieldwork. He argues that Traditionalist Sufism has changed under the dual impact of migration and the New Age, and to some extent also under the impact of the Far Right, so that there are now four "idealtypes": the classic Guénonian, the immigrant, the New Age, and the Far Right. He takes the Milanese Sufis following Pallavicini as exemplifying the Guénonian idealtype, the Boutchichis as exemplifying the immigrant idealtype, and Italian Evolians for the Far Right idealtype. None of these three would disagree. But he also takes the Schuonians as exemplifying the New Age idealtype, a conclusion that would horrify many of them. Why? Because of Schuon's involvement with Native Americans, because many Schuonians are engaged in a long-term search that takes them through multiple religions, and because for many of them Guénon is just one reference among many, along with others such as Gurdjieff, Carlos Castaneda, Idries Shah, and Henry Corbin. Ethnography, then, supports a conclusion that might not have been reached by other means. Piraino also argues that what Guénon matters most for today is his perennialism, his function as a guide to the religious landscape, and that his apocalyptic critique of the modern world has become merely "symbolic," as has the contrast he drew between West and Orient. 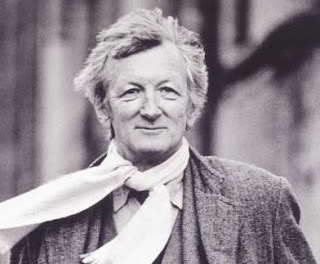 I agree that few Traditionalists today would maintain that the Orient remained traditional, but my own impression is that the critique of modernity remains important. But I do not know Piraino's informants. 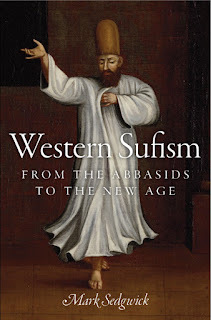 A new book on Western Sufism is due out some time around October 2016: Mark Sedgwick, Western Sufism: From the Abbasids to the New Age (New York: Oxford University Press). Western Sufism is in some ways the continuation of Against the Modern World, but also goes a long way back in time, as the subtitle suggests. Actual Guénonian Traditionalism is only one topic among many, but perennialism is a topic that comes and goes throughout the book, and Guénonian Traditionalism appears in a new light (as do many other things, from Maimonides to Gurdjieff). Ivan Aguéli is covered in more detail than in Against the Modern World, as Swedish sources have been used. The table of contents can be seen on the companion website, which also has a gallery which gives a good idea of the book's contents. There is also a companion blog, which will be used for posts that are not relevant to Traditionalism. It is possible to pre-order the book now: $35.00 from Amazon in the US or from Oxford, or £22.99 from Amazon in the UK.